As is often the case with technological innovation, the 2nd gen Moto 360 is a better product than its predecessor. And just as unsurprisingly, the older model continues to drop in price. 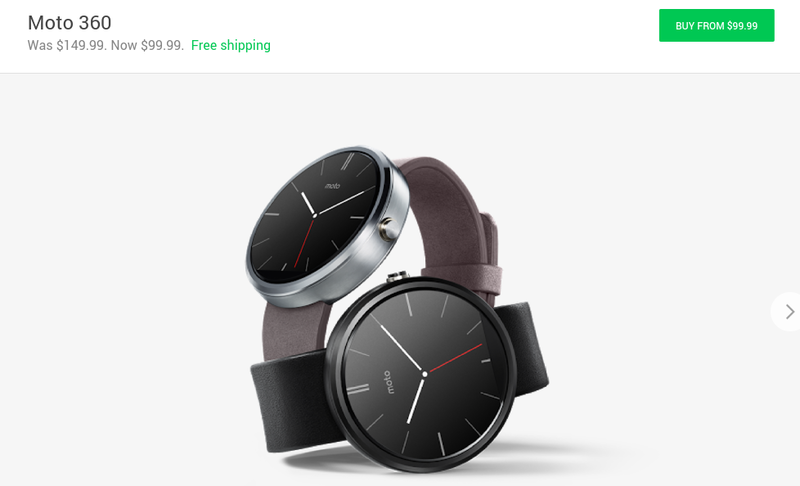 Whereas starting this summer you could snag one on the Google Store for $150, the circular smartwatch now goes for $100. The Moto 360 was the first Android Wear device to get us truly excited. Ultimately, it was never the most powerful, finding itself outperformed by the LG G Watch and Samsung Gear Live that beat it to the punch. Battery life, too, was underwhelming. Some owners have also had to deal with infuriating connectivity issues. But it started the trend continued by some of the best options around today, such as the LG Watch Urbane and the Huawei Watch. And at $100, it's better looking than most similarly priced smartwatches out there. That may seem shallow, but we are talking about an accessory here.